While there are WFA advisors populating recruiting pipelines and making moves, most are still waiting for the storm, make that hurricane, to pass. Many think, or perhaps more hope, that the eye of the hurricane is behind them and if they ride it out a bit longer they’ll finally be in the clear. After all, this mess has been on the banking side, not wealth management. Recent news has dashed these hopes and revealed that the eye of the hurricane for Wells Fargo Advisors is likely still yet to come. Last Friday the Wall Street Journal reported that the Justice Department, SEC, and FBI now have turned their investigative focus on wealth management and Wells Fargo Advisors. FBI agents interviewed some wealth management employees in Phoenix already. So the unfolding investigation into wealth management and Wells Fargo Advisors now involves Wells Fargo, the Justice Department, the SEC, and the FBI. We’re sure it will be a long and comprehensive investigation. They will be trying to determine if inappropriate recommendations or referrals, failures in informing clients about potential conflicts of interest, reviewing fees it charged clients, and potential overcharges to clients. Does anyone think that there isn’t more bad news to come? 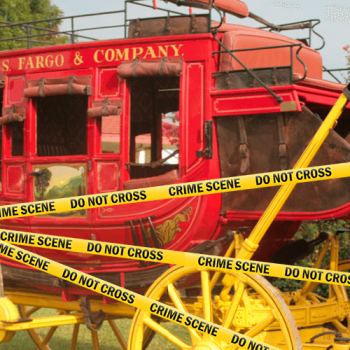 With the jaw-dropping enormity and duration of the fraud perpetrated by Wells Fargo against their own clients that have been revealed thus far, having WFA under the public investigation spotlight is the last thing a WFA advisor needs in their business life. 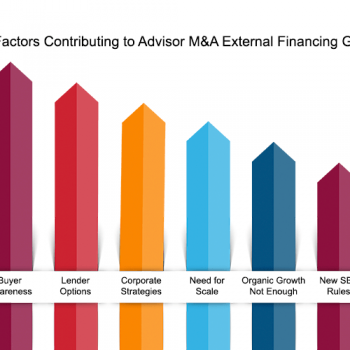 For the last year and a half, WFA advisors have been apologizing for their bankers and assuring their clients that none of this has to do with the wealth management division. Over the next months, we expect these same advisors to be forced to shift their client conversations to sharing that even though it turned out that Wells Fargo has issues with banking, insurance, mortgages and wealth management, that this shouldn’t impact their trust in them as individual advisors. WFA advisors will have to decide if they are willing to continue to ride out the hurricane with WFA. It’s a tough decision to decide to leave and join a different traditional firm or independent option. Even moving to Wells Fargo FiNet is still Wells Fargo. This will drag out in the press for many, many months. While the Wells Fargo Bankers has gone through hell the last 17 months, the Wells Fargo Advisors hell may be just beginning.